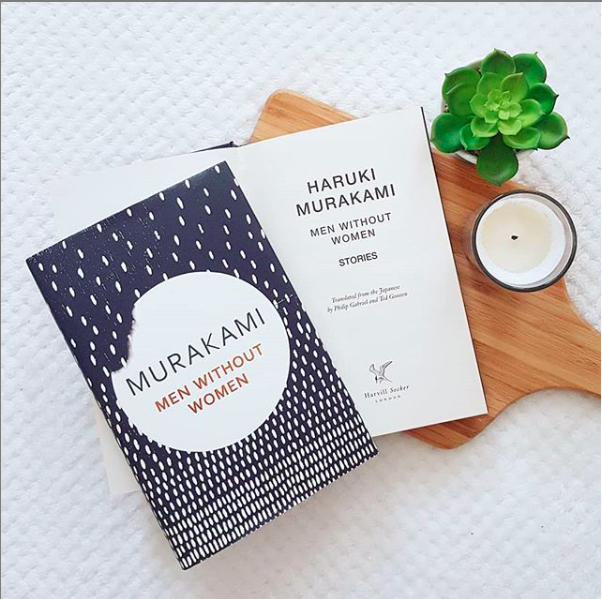 This month, book club had a look at award-winning author Haruki Murakami’s short-story collection Men Without Women. With his unique style and curious narratives, a few of us chose our stories in the collection. This opening is the story is the one that stuck with me the most after reading the whole collection. It focuses on a widower and actor, Kafuku, who hires a female driver, Misaki, to chauffeur him in his classic yellow Saab 900 convertible after a crash which leaves him without his licence. The car provides a space between his private and public life, and as Misaki starts to question his life and choices. In these moments, the narrative slips between Kafuku’s history and his time in the car. Murakami offers an exciting mix between the inner mind and the external acted-front, in turn creating an unreliable. Overall, I found this story fascinating, and as a curious short text to read on your lunch break its a great group of stories. The ending sentiment in this story was one of the most thought-provoking moments in the book. When Misaki asks why Kadufu stopped being friends with his only friend, he states ‘Because there was no need to keep acting’. There is this fascination with gender and the roles we choose to play. Best of all, Murakami challenges whether we should keep acting at all. ‘Men Without Women’ is the last story of Murakami’s homonymous collection, observation of men that find themselves without women. Not having constructed a space outside of their relationship they are suddenly alone, in a similar way to women in Simone de Beauvoir A Broken Woman, who created everything around the relationship with a man and, not having built a private space and identity, when alone are lost in a limbic space. A limbic space is where we found the protagonist of this short story, which begins with a sound in the middle of the night: ‘phones ringing in the middle of the night always sound harsh and grating, like some savage metal tool to destroy the world’. This is what the sound of this phone call does. On the other side of it, a man informs the protagonist that ‘a woman has vanished from this world forever’, a woman the protagonist had a relationship with. However, this sound interrupts something other than the night; it disrupts the illusion of the world the protagonist has lived in, it reveals that, if ‘suddenly one day you become Men Without Women’, the death of the protagonist’s previous girlfriend has just made it visible to the narrator. He has lived in a space suspended between real and non-real for much longer since his relationship with this woman ended. In his life he completely reimagined their relationship in the way he wanted it to happen: they met at elementary school, sharing an eraser that she split in half, symbolic of the middle stage (not a whole but not fragmented, not pigmented but not yet erased) he lives in. Even what he remembers of her are details linked to liminality: her favourite music was elevator music, and the threat to their relationship are sailors infesting his imagination, who convinced her to leave with them. Both the elevator and the sailors are representative of in-between space, not quite here, not quite there, but from both, there’s a possibility of an escape, while ‘Men Without Women’ is an inescapable place, where you are ‘always alone’.